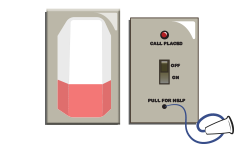 Cornell’s 4200 and 4800 Series area of refuge systems (area of rescue) provide emergency communication between call stations and annunciators. 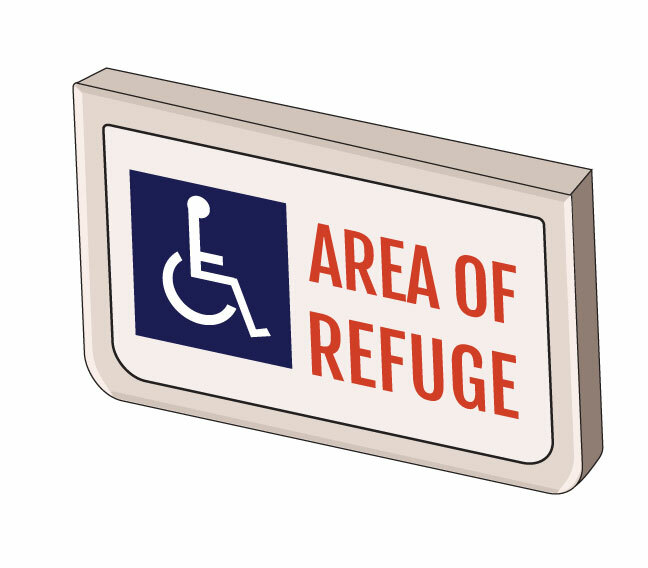 When combined with appropriate ARA signage, Area of refuge assistance systems from Cornell meet ADA, IBC and NFPA regulations. 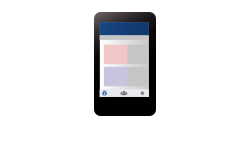 The 4200 Series Analog Area of Refuge System offers ONE-WAY communication from the control station to the caller. The 4800 Series Analog Area of Refuge System offers TWO-WAY communication bewteen the control station and the caller. An area of refuge, sometimes called an area of rescue, is a location in a building designed to safely hold individuals during an emergency. Areas of refuge are set aside for situations when normal evacuation is unsafe or impossible. For instance, hospital patients or nursing home residents may be unable to use the stairwell during a fire. 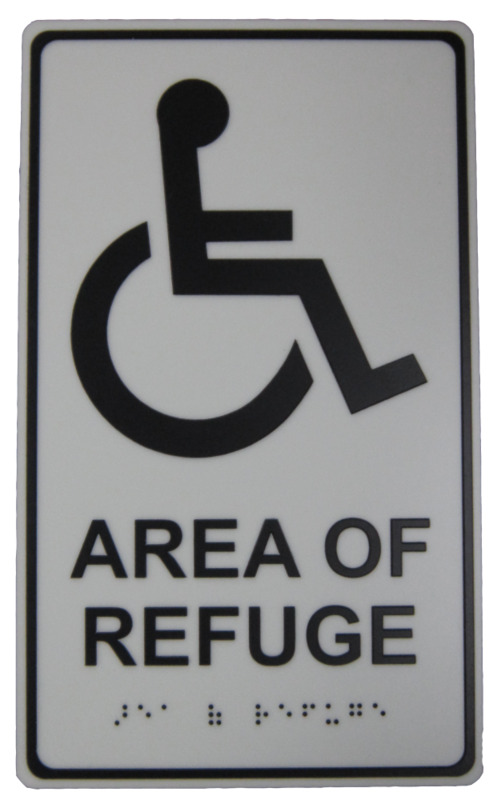 Individuals with limited mobility can wait in the secure area of refuge until assisted by firefighters or other rescue teams. The 4200 Analog Emergency Communication System from Cornell operates as indicated above with individual buttons for each alarm station or zone routed to an annunciator panel. Our 4200 Series analog area of refuge system can be sized from 4 to 20 zones in multiples of 4 zones. The system only allows for one Master Control Panel and communicates to the remote 911 center via text and pre-reocrded voice messages only. One way communication from the annunciator to the call station is available. 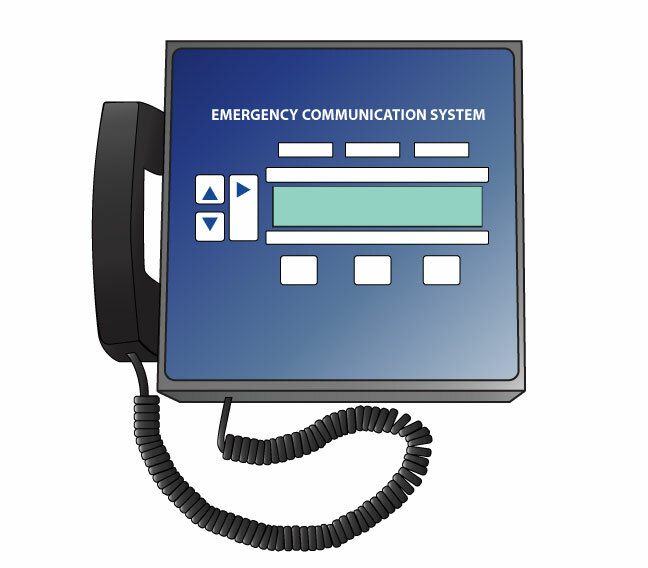 The 4800 Series Digital Emergency Communication system was developed to meet the requirements of the International Building Code (IBC) adopted by the US in 2015. It supports up to 255 call stations and 5 master panels; lending itself to larger buildings. It also provides for two way voice communication both in the building and with the 911 Center. Buy 4800 ARA replacement parts online or compare 4800 ARA signage. Cornell Communications helps design area of refuge systems for businesses across the country. Whether you opt for our easy to use nurse call and area of refuge system quote tools, or you choose to contact our area of refuge experts, Cornell Communications is here to help you design the perfect area of refuge system for your community. Work with Cornell and ensure you have all area of refuge system features and functions required by law. 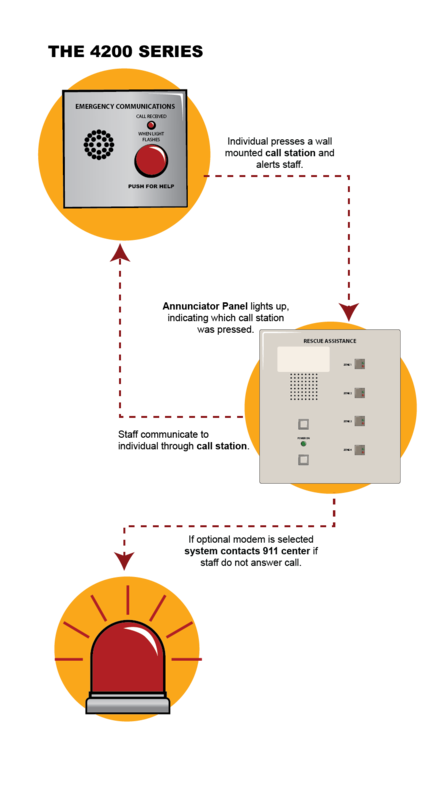 Cornell offers an analog and a digital area of rescue communication system. 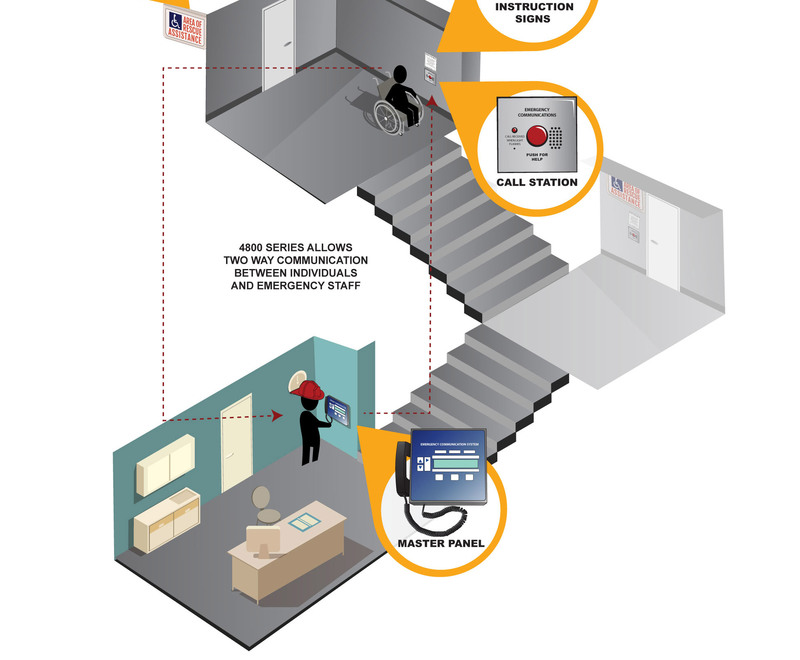 Emergency communication systems were first mandated by the American with Disabilities Act (ADA) in 1993 and later made mandatory in all multi-story buildings by the International Building Code (IBC) adoption in 2015. Which system should you select? 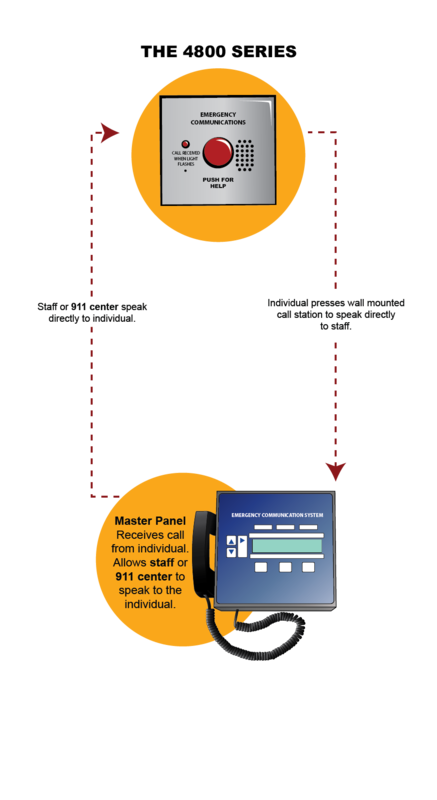 The IBC code now requires two-way communication between the offsite 911 center and the person calling for assistance. Building codes are implemented locally and enforced by the Authority Having Jurisdiction (AHJ). Certain AHJ’s interpret two-way voice communication between both parties as something which can only be accomplished with an intercom (as the Model 4800 Digital system has). Other AHJ’s feel text or recorded messages meet that requirement and say the Model 4200 Analog system is adequate. You will need to consult with your AHJ to determine the specific requirements for your locality. Simplify your installation with custom area of refuge wiring designed to meet your specifications. 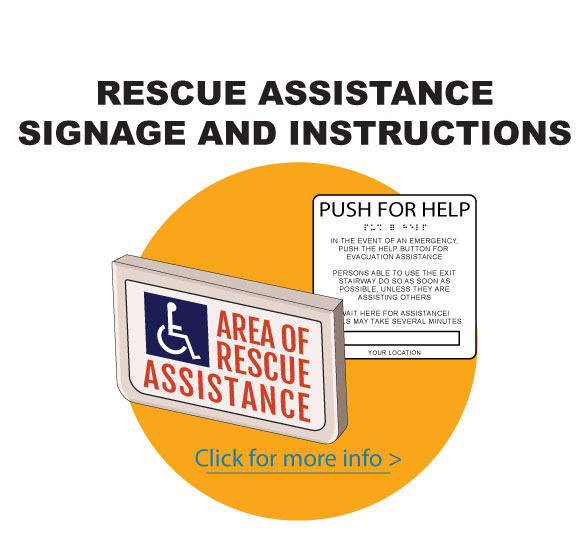 The Americans with Disabilities Act requires areas of rescue assistance or places of refuge where people can wait for emergency personnel to arrive. 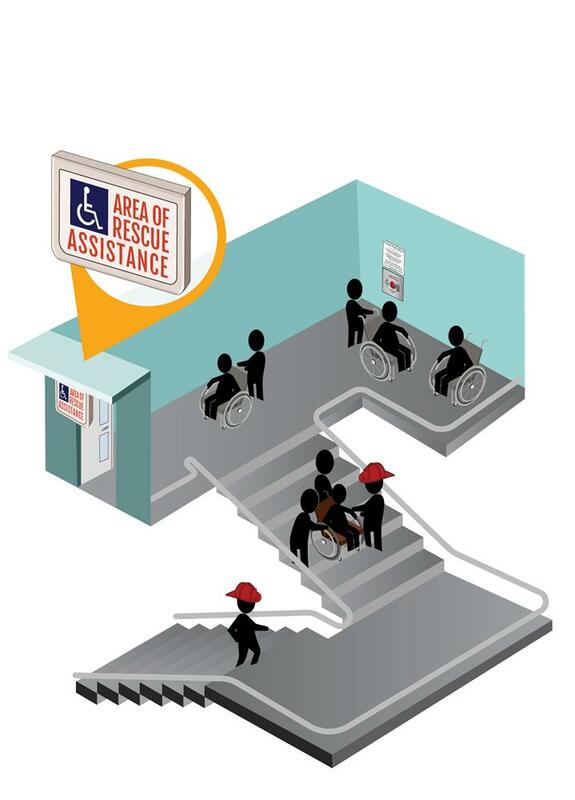 Areas of rescue on each floor of a multistory building, such as a hospital, allow people who cannot use the stairs to call for help, receive instructions, and wait for assistance during an evacuation. Clear signage reading “Area of Rescue Assistance” is required, along with instructions for using the two-way communication system. The emergency communication system must be usable for people with hearing impairments, speech impairments, and difficulty accessing. 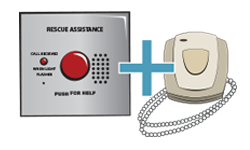 An area of rescue system with both visible and audible signals allows the people with hearing or speech difficulties to receive information. A light indicating the call was received and a voice intercom makes the system more accessible in an emergency. 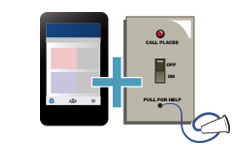 An emergency call system with no handset also makes it easier for people with difficulty reaching or grasping. Not sure if your new or existing facility requires an area of refuge system? Cornell breaks down the area of refuge requirements by state making it easy to understand state and local codes. While most states follow the International Building Code (IBC), some states might follow a different version of the IBC. Some states even have their own unique exceptions to the IBC. IBC regulations on Area of Rescue and Area of Refuge systems are nuanced, sometimes even varying by county to county or city to city. Cornell Communications is the expert on building, fire and safety codes regarding Area of Refuge and Area of Rescue systems. We’re here to help your business understand the complexities of Area of Refuge requirements in your state. Contact Cornell, the leading area of refuge system manufacturer, for help designing, installing, or repairing an area of refuge system.